In 1847, French Army captains Claude-Etienne Minie and Henri-Gustave Delvigne developed a new technology called the Minie ball. 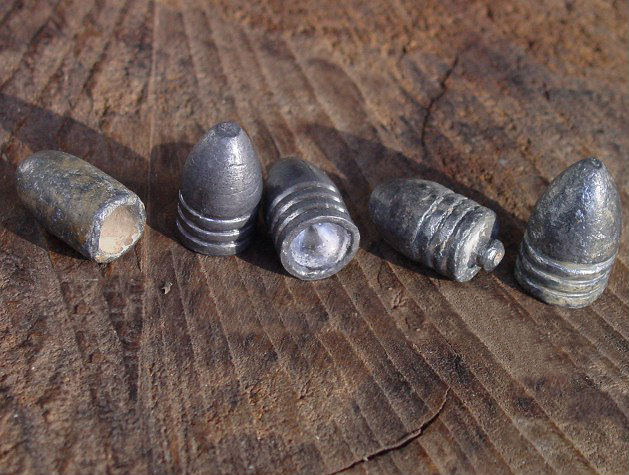 This new type of bullet was an innovation that improved the accuracy of rifle muskets, because it took advantage of the gun’s spiraled grooves inside the barrel (“rifling”). When the rifles were fired, hot, expanding gas pushed on and deformed the Minie ball so that it connected with the spiraled grooves and spun as it traveled down the barrel. The spin made the bullet more accurate, and the seal created when the Minie ball changed shape pushed the bullet faster and gave it a longer range. Older muskets fired simple, round bullets that were accurate only at short range, so soldiers that used them had to advance shoulder-to-shoulder and get within yards of the enemy to have any hope of hitting anyone. However, with a rifle musket and Minie ball ammunition, this was no longer necessary. The tradeoff for the new technology was that the soldiers couldn’t just point and shoot. They now had to learn new skills to improve their aim, since they would be firing from much further away. Encourage your staff to be on the lookout for new, relevant technologies. Give them regular opportunities to help you see the possibilities for applying them to the work. Allow them to try out new tools on a small scale and report back on the results. When they find something that makes a difference, let them help share it with other staff and implement its use. Provide recognition for those that find effective, new tools. Share what you learn with your peers. As leaders, it’s often up to us to model the way by challenging ourselves out of our comfort zones and learning which new tools give us a strategic advantage. This doesn’t mean we have to be the technology experts, but it does mean that we have to create opportunities for our teams to show us new ways to create more impact. * Historians estimate that the war killed over 600,000 people – 10% of the men in the North and 30% of the men in the South. Eles sabem que Empreendedorismo Digital é provável.